Wisconsin's Senate and Assembly voted to advance GOP Gov. Scott Walker's plan for an individual market reinsurance fund late Tuesday, in a move conservatives hope will lower exchange premiums before the 2018 midterm elections. The legislation is a piece of the "Health Care Stability Plan" that Walker proposed in his January State of the State address. The proposal also asks the Legislature to codify into law the Affordable Care Act's protections for people with pre-existing conditions and to make permanent the state's waiver that helps with drug costs for seniors. While his plan shores up key parts of the ACA, Walker has framed it as a "market-driven solution that will lower premiums." "With Washington, D.C., failing to fix our nation's healthcare system, Wisconsin will lead," the governor's website stated. The bill is heading to Walker's desk next, and then Wisconsin must apply for a federal 1332 waiver to obtain funding. The reinsurance fund would then kick in at least 50% of the cost of claims between $50,000 and $200,000. Providers, insurers and associations such as the Wisconsin Hospital Association and America's Health Insurance Plans backed the legislation, according to the state's lobbying records. As Republicans eye the prospect of a sweeping Democratic wave in 2018, GOP policymakers are increasingly falling in line behind efforts to shore up the individual market in time to lower premiums before insurers file their rates for 2019. Walker is one of the Republicans up against tough election odds. His term is up this year and he faces two challengers from his own party in the primary. A slew of Democratic candidates have also flooded the race. The timing of the reinsurance bill isn't lost on the governor's critics on the left. "Walker's sudden interest in addressing the health insurance affordability crisis will not undo the damage his seven years of sabotage has done, let alone make coverage affordable for most Wisconsinites," the progressive activist group Citizen Action of Wisconsin posted last month following Walker's unveiling of the plan. 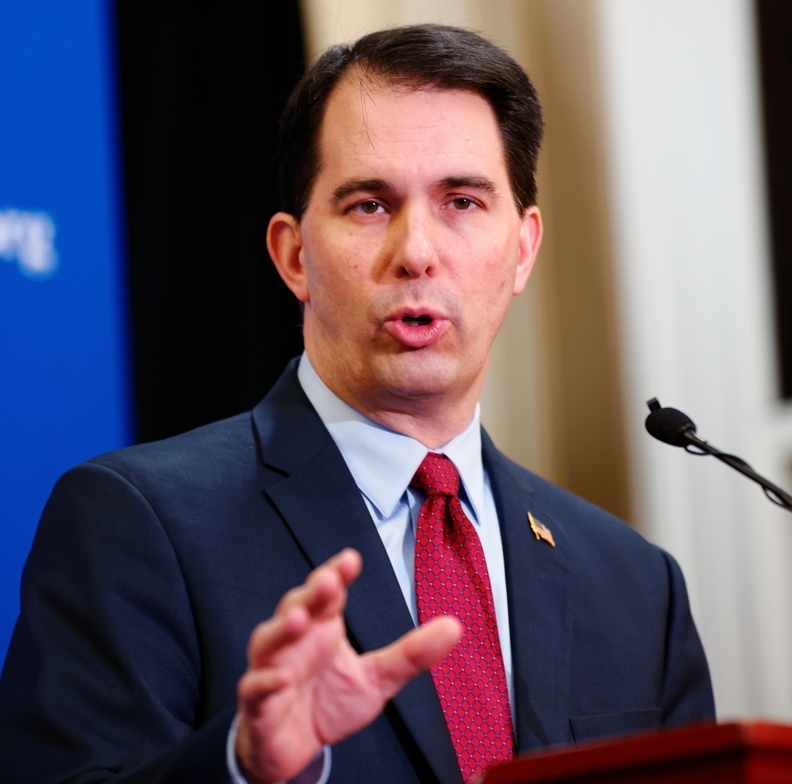 The group called the plan a give-away to insurers, and spokesperson Robert Kraig told Modern Healthcare they think Walker is "greatly overselling" the idea. Kraig also said Wisconsin doesn't have prior-authorization mechanisms other states have that would hold carriers accountable "to either pass on savings to consumers or maintain a broader geographic reach in the individual market." Citizen Action of Wisconsin lobbied Democrats in the Legislature to amend the reinsurance bill with a "robust rate review" provision as well as a Medicaid buy-in bill that the group said would lower premiums and deductibles by 38% "at no cost to the state." Both of these amendments failed. But the events in Wisconsin reflect similar efforts on the part of Republicans and Democrats in Congress. As Sens. Lamar Alexander (R-Tenn.) and Patty Murray (D-Wash.) continue negotiations on legislation that would fund cost-sharing reduction payments, Sen. Susan Collins (R-Maine) has a reinsurance bill of her own that would create a fund states could draw money from through 1332 waivers. In the House, GOP lawmakers are inching closer to support the reinsurance-CSR bill by Rep. Ryan Costello (R-Pa.) whose already contentious district has been redrawn. As Republicans scramble to shore up the ACA's individual market while the Trump administration further splinters its risk pool, Democrats are moving on from the ACA to plans they hope to execute should they be able to reclaim the gavels. Among proposals gaining steam is the Medicaid buy-in bill by Sen. Brian Schatz (D-Hawaii) and Rep. Ben Ray Lujan (D-N.M.).